ATLANTA (AP) - A Melania Trump spokeswoman is asking people to boycott Atlanta rapper T.I. because of his promotional album video that shows a woman resembling the first lady stripping in the oval office. T.I., whose real name is Clifford Harris, tweeted Friday "Dear 45, I ain't Kanye" before sharing the video. The woman is wearing a jacket that reads "I REALLY DON'T CARE, DO U?" 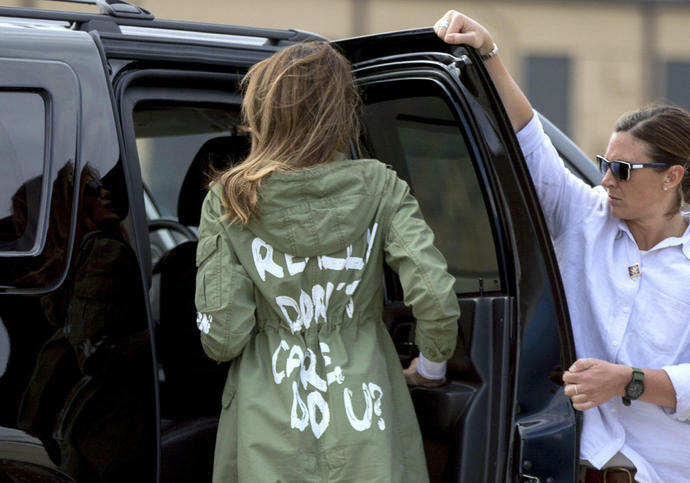 Trump wore a jacket with that wording on her way to visit migrant children in Texas. She said recently in an interview with ABC News that she wore the jacket to troll reporters.